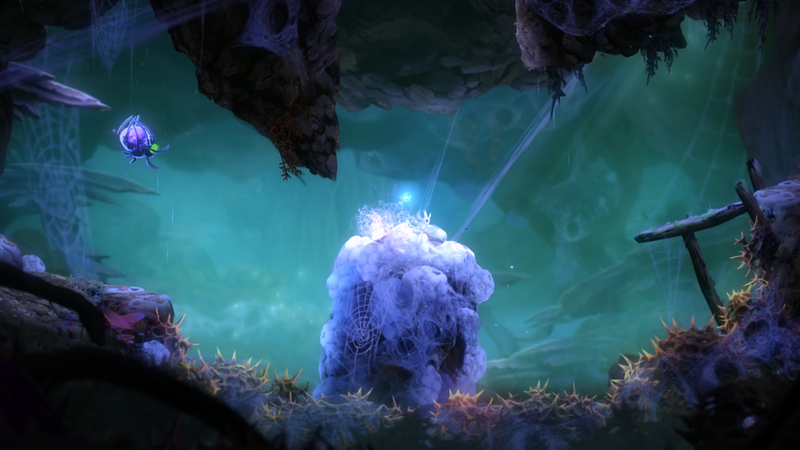 Ori and the Blind Forest is a very pretty game. It's a lot of fun, too! Unfortunately, thanks to a few irritating performance issues, some Xbox One players have had trouble soaking up its beautiful scenery and controller-chucking levels of platforming tension since the indie game launched earlier this week. Since Ori and the Blind Forest is a small indie title that only just launched, its more difficult than usual to assess the true extent of its performance issues. But reports from players have already started to trickle out on numerous Reddit threads (mostly on the Xbox One subreddit) and other popular gamer haunts like GameFAQs highlighting two specific problems they've run into on the Xbox One—both of which Kotaku also experienced when playing the game and testing it for review. The game's Steam discussion is quiet in comparison, meanwhile, which leads me to believe these are specifically problems with Ori's console version. Three or four times, the game simply wouldn't display properly whenever I tried to open it again from my Xbox One dashboard after switching over to something else—showing static or simply an all-white or all-black screen that would intermittently switch over to the game. The only thing that resolved this was uninstalling and reinstalling the game on my Xbox One. Other Ori players, like Reddit's adulel08, said that simply closing and reopening the game would get things back to normal. That was not my experience when playing the game prior to my review, or when revisiting it yesterday and this morning. The best solution I've found, again, is simply to uninstall and reinstall the game—and avoid suspending it. While the issue was certainly crippling to the extent that it warranted a completely new installation, this worked quickly enough on my Xbox One that I didn't consider it a big enough problem to change my Ori rating from a "Yes." Since more players are reporting identical issues, however, Ori is clearly in need of some fixing. Representatives from Ori and the Blind Forest developer Moon Studios did not respond to questions about their awareness of the game's Xbox One issues or possible resolutions by press time. We have identified a conflict between 'Ori and the Blind Forest' and the Xbox One's 'instant on' feature. We are working to resolve the conflict in an upcoming update. In the meantime, we recommend players fully quit out of the game and restart, rather than resuming their game quickly. There is no need to uninstall and reinstall the game.